Newcastle University is delighted to announce a scholarship award for Indonesia for students commencing postgraduate studies in September 2013. This partial tuition fee scholarship has a value of £4,000. 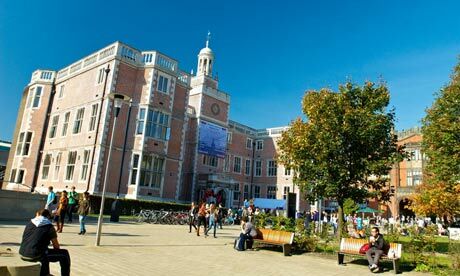 The Newcastle University ASEAN Scholarship merit-based award is for Indonesian nationals who intend to register for postgraduate studies (one year master’s programmes) at Newcastle University, commencing in September 2013. Successful applicants will be awarded a partial tuition fee scholarship of £4,000 in their chosen postgraduate programme and the value of the scholarships will be credited to the student’s tuition fee account to reduce the overall cost of tuition fees. The University awards the ASEAN scholarships on the basis of academic merit and other information on the Postgraduate ASEAN Scholarship Application Form. Please complete the application form electronically and in accordance with the Postgraduate Scholarship Regulations, which are provided at the end of the application form. The closing date for receipt of applications is 30 June 2013. Please note that applications cannot be considered for candidates unless they have already applied for and been offered a place to study at the University. Demikian kami sampaikan tentang Newcastle University ASEAN Scholarship for Indonesia, UK semoga informasi tentang Newcastle University ASEAN Scholarship for Indonesia, UK ini bermanfaat.